We are recognized firm engaged in supplying wide gamut of high quality Fastest Automatic Pallet Changer machines. With precise travel and high load bearing capacity, these machines have profound use in various manufacturing industries. Sourced from world renowned vendors, these machines have high rigidity and machining rate with maximum precision. Moreover, these machines are available with us in various configurations at competitive market rates. 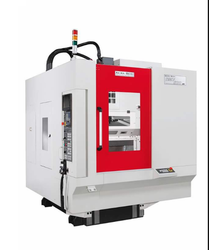 Looking for AKIRA SEIKI Machines ?